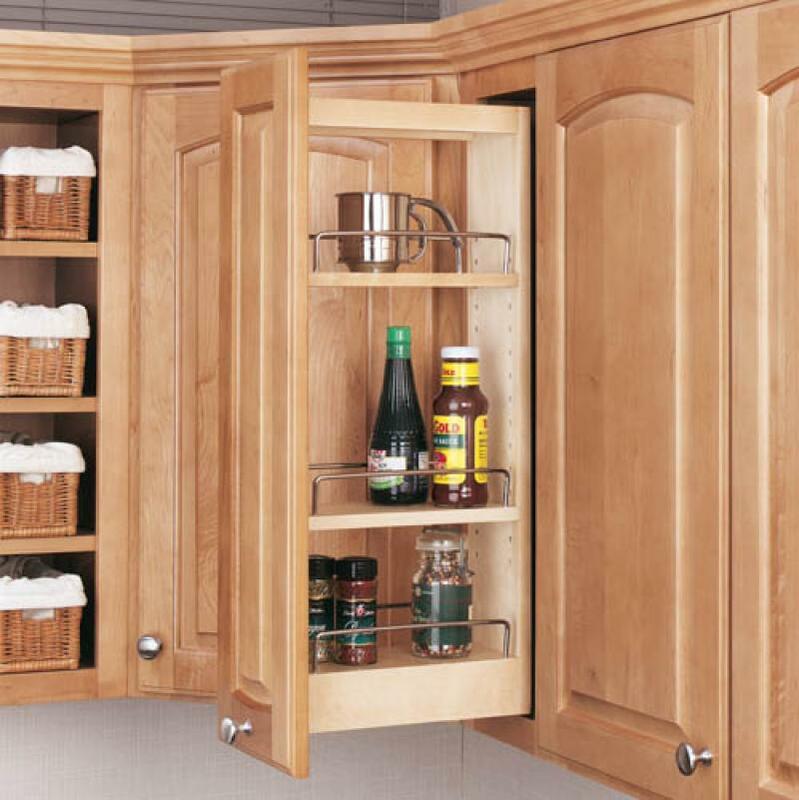 Create more room in cabinets with the Polymer Door Mount Spice Rack. 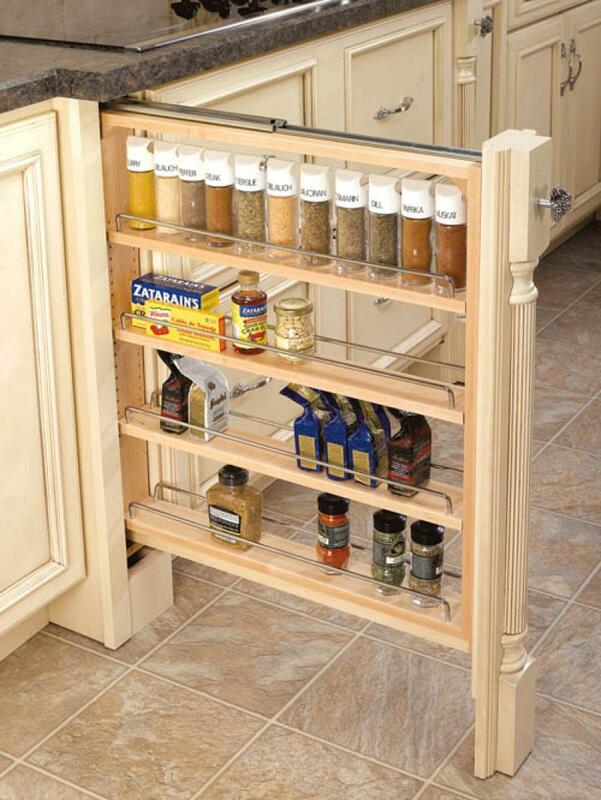 This line of spice racks come in 36" and 72" extruded trays that can be cut to size. Components which include end caps, screws, and adhesive are sold separately. Product Dimensions: 10 1/2"W x 5"D x 18 1/2"H. Kit Includes:. - 1 Shelf System. - 4 Adjustable Mounting Brackets. - 4 screws. 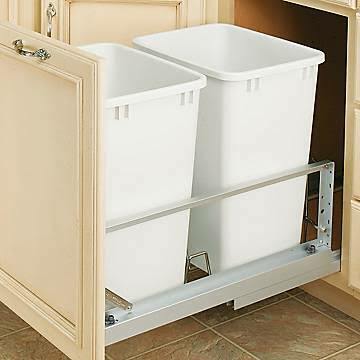 Product Dimensions: 3"W x 23"D x 30"H. Contains on completely assembled organizer with a 150 lbs. weight rating. and full extension slides with adjustable shelves. Does not include filler strip or decorative accents. 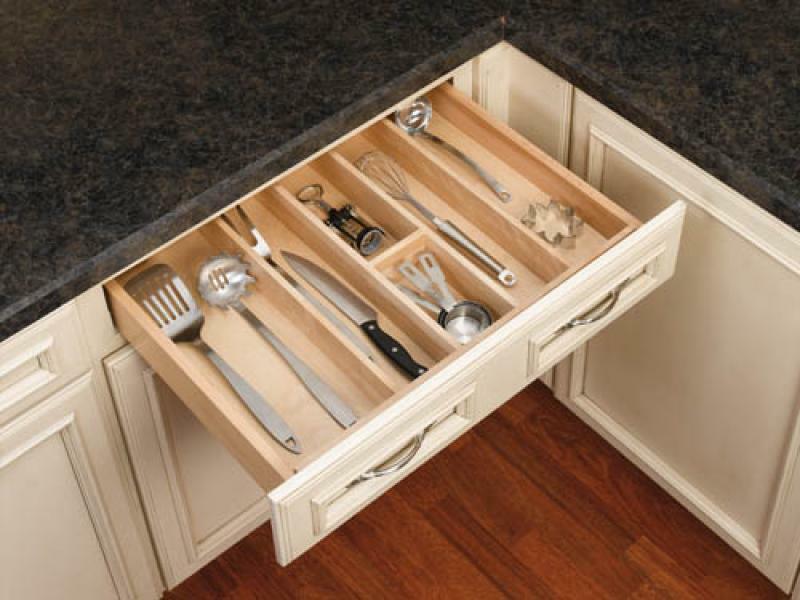 Product Dimensions: 6"W x 23"D x 30"H. Contains on completely assembled organizer with a 150 lbs. weight rating. and full extension slides with adjustable shelves. Does not include filler strip or decorative accents. Kit includes:. 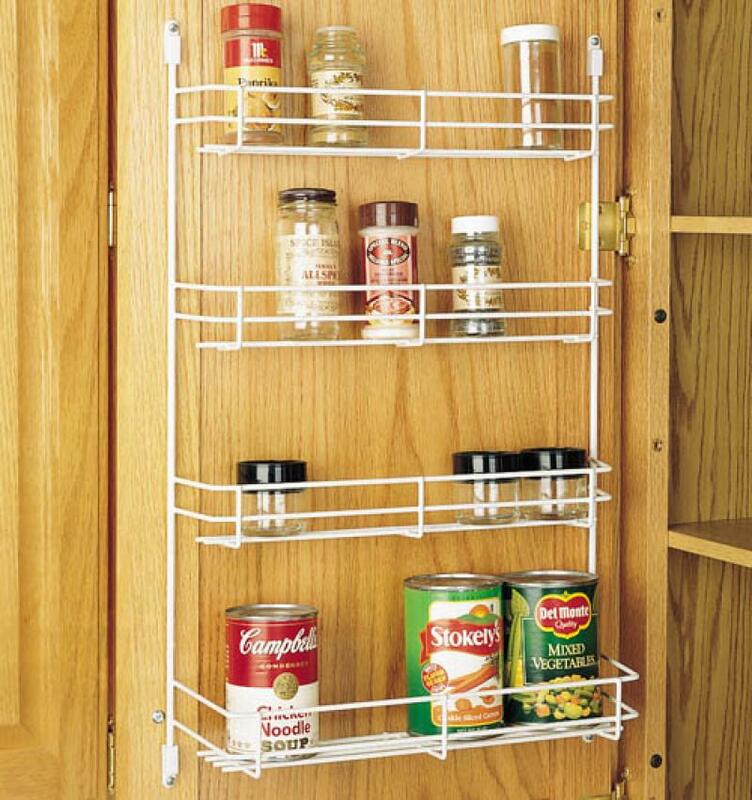 - (1) Pull-Out Shelving System. - 3 Adjustable Shelves with Chrome Rails. - 150 lbs. weight-rated. - Full-extension tri-slides. - Rub Bushings. 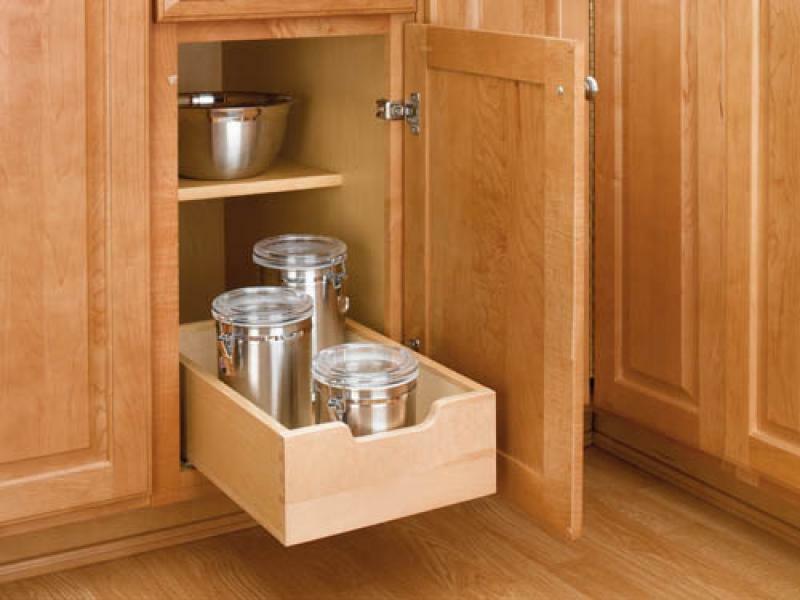 Full height door base cabinet required. Product Dimensions- 5"W x 10 3/4"D x 26 1/4"H. Kit Includes. 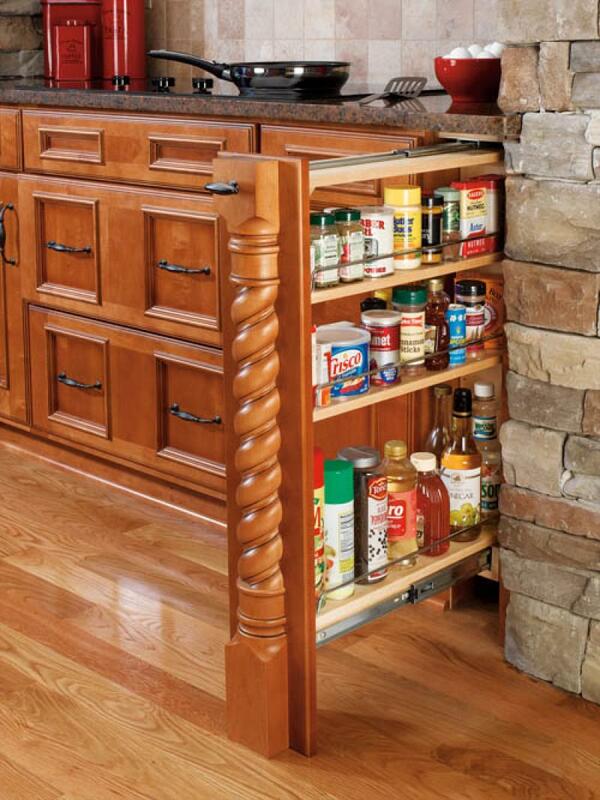 - (1) Pull-Out Shelving System. - Chrome Rails. - Full-extension Tri-Slides. - Adjustable Door Mounting Brackets. 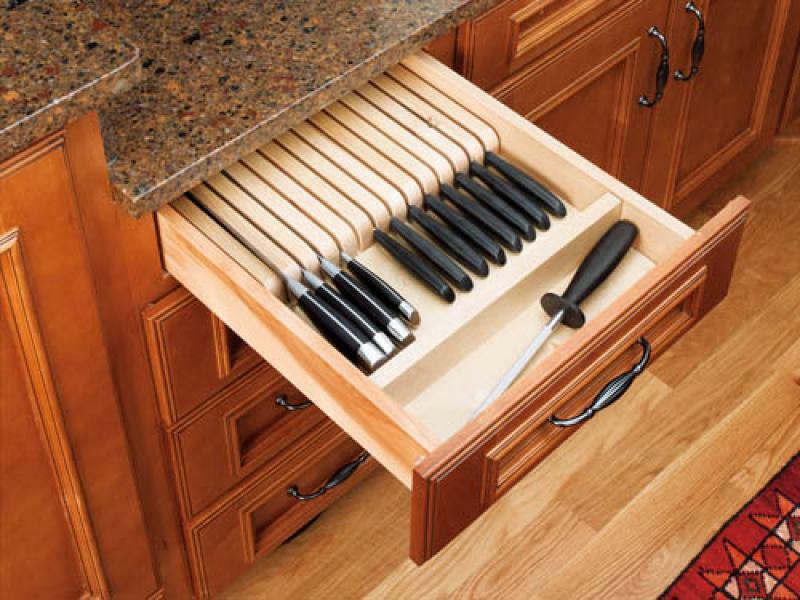 Knife Holder/Cutting Board Combination Kit- 24" Knife Holder/Cutting Board Combination Kit- 24"
Front Storage:. 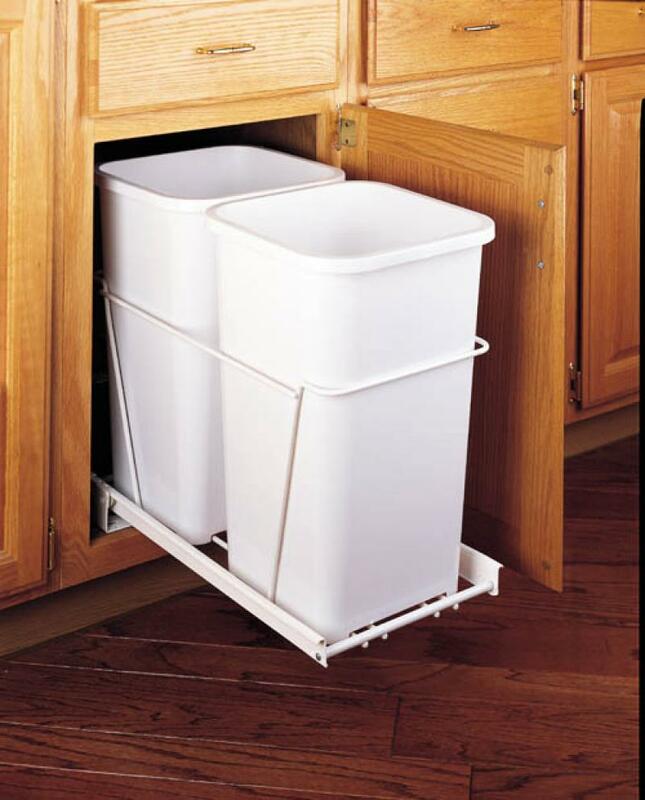 19 1/4"W x 2 7/8"D x 2 1/4"H. Side Storage:. 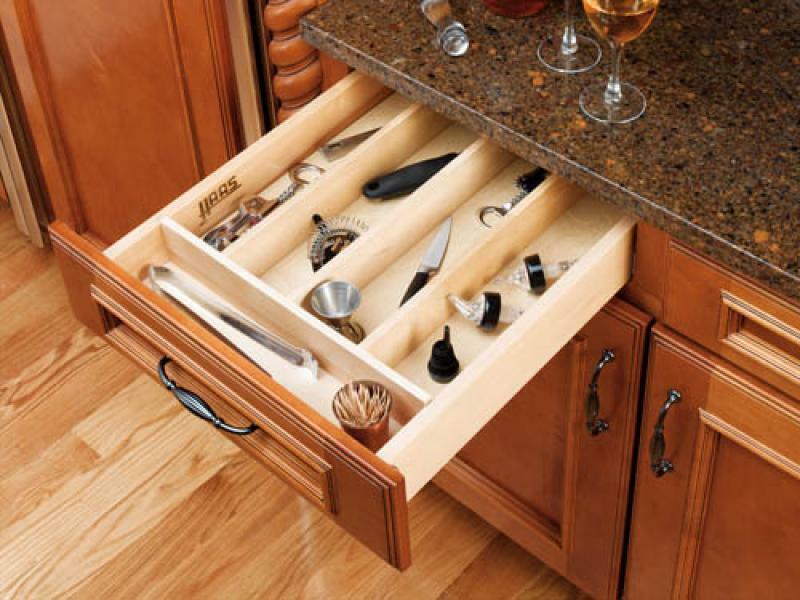 2 13/16"W x 16 7/16"D x 2 1/4"H. Knife Storage Area:.7 13/16"W x 16 7/16"D x 2 1/4"H. Knife Holder:.7 3/4"W x 9"D x 3/4"H. Cutting Board:.19 1/4"W x 20"L x 1 1/4" H. Support Frame: 20.1/2"W x 23"D x 4 1/2"H. Each Kit Contains:. 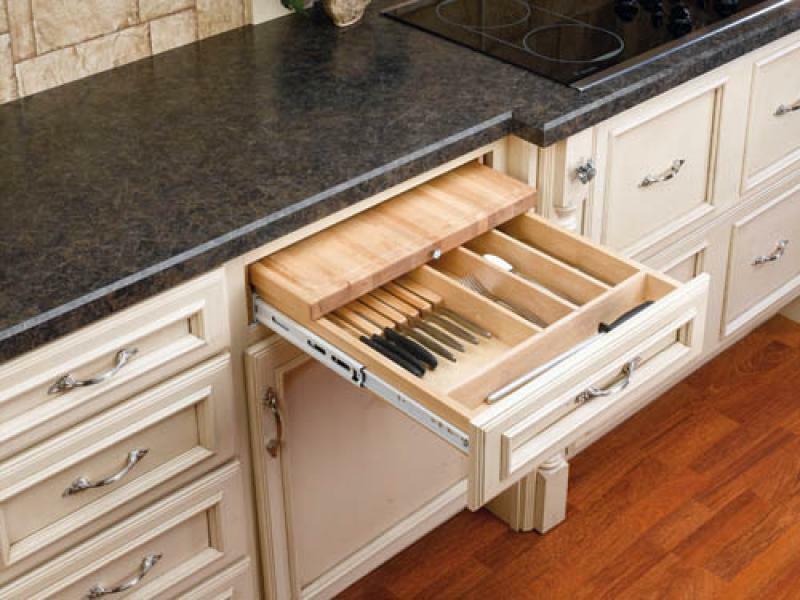 Knife Rest, Cutting Board, Full-Extension Slides, Mounting Hardware and Screws (Knives not included). 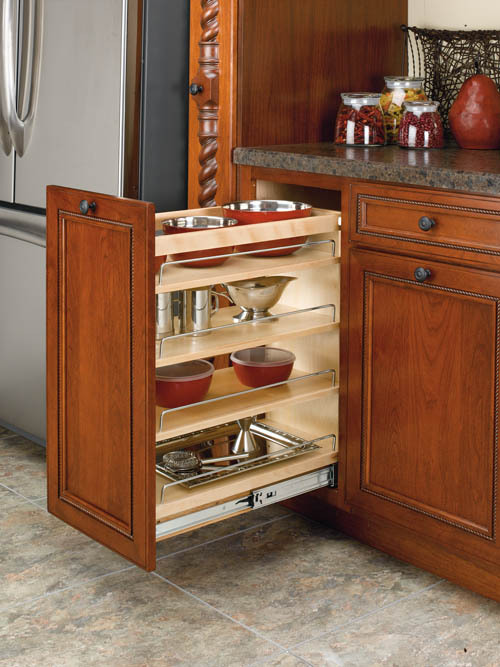 Compatible with our RTA 24" Base Cabinets and Drawer Base Cabinets. 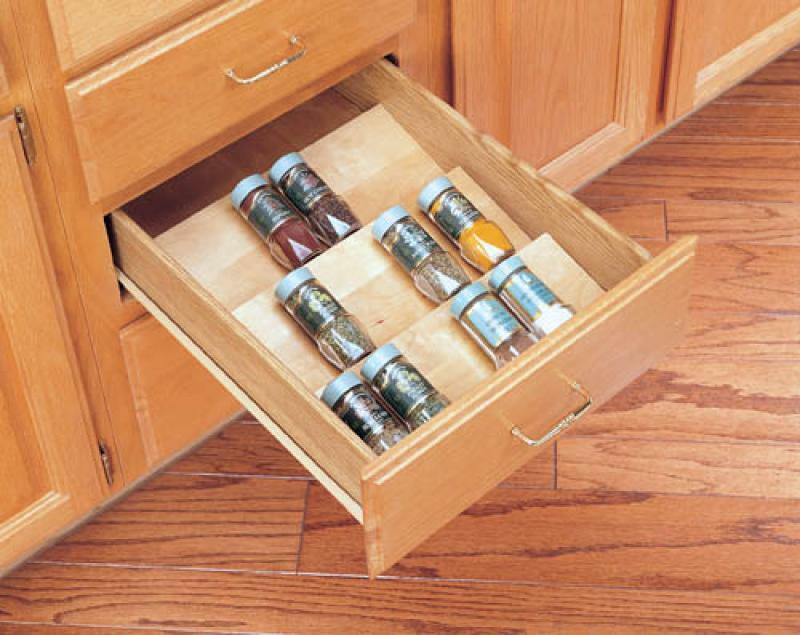 Kit replaces the drawer box that is included with each drawer and base cabinet. Product Dimensions:. 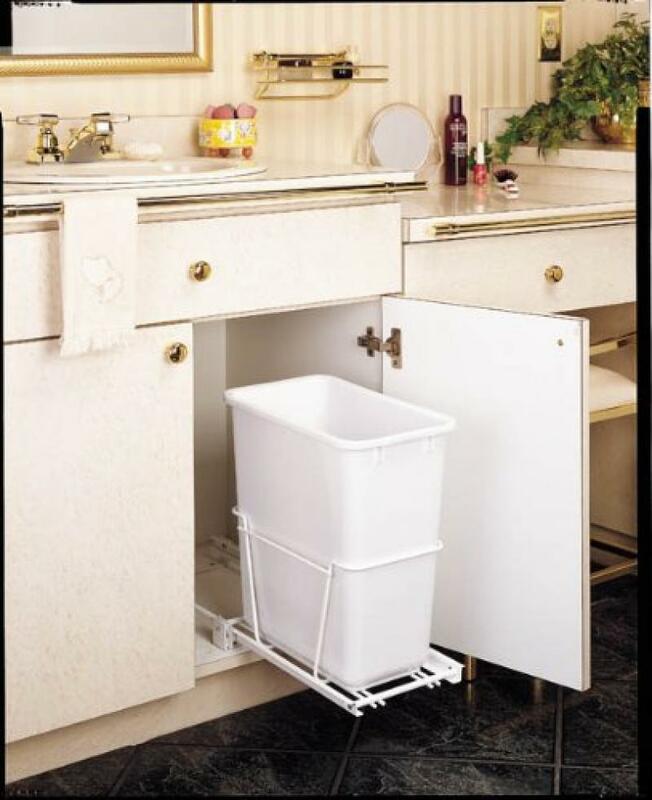 16"W x 19 3/4"L x 1 1/2"D. Tray can accommodate up a 9", 12", 15", or 18" RTA Base Cabinet. Product Dimensions:. 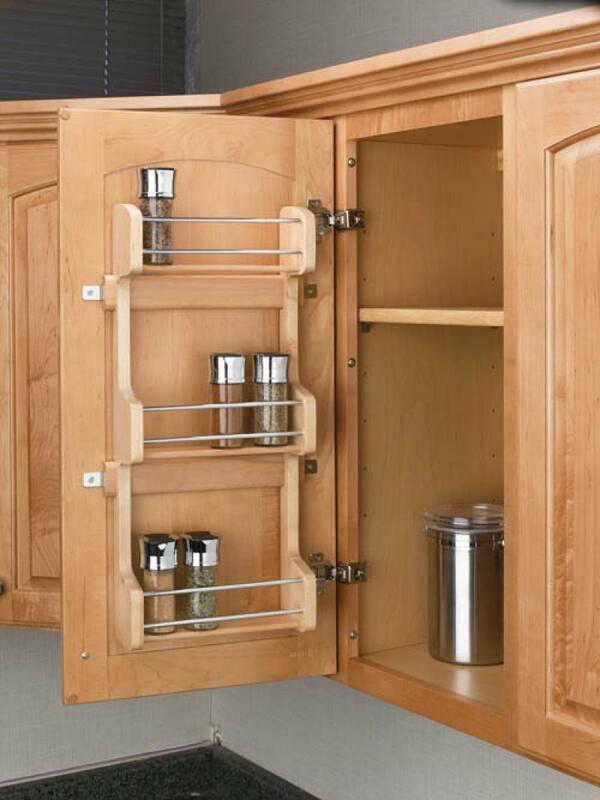 9 5/8"W x 3 1/8"D x 21 1/2"H. Kit Includes 1 Door Mount Spice Rack and screws. Height between shelves is 8 5/8". Brackets allow up to 5" of adjustability. Product Dimensions:. 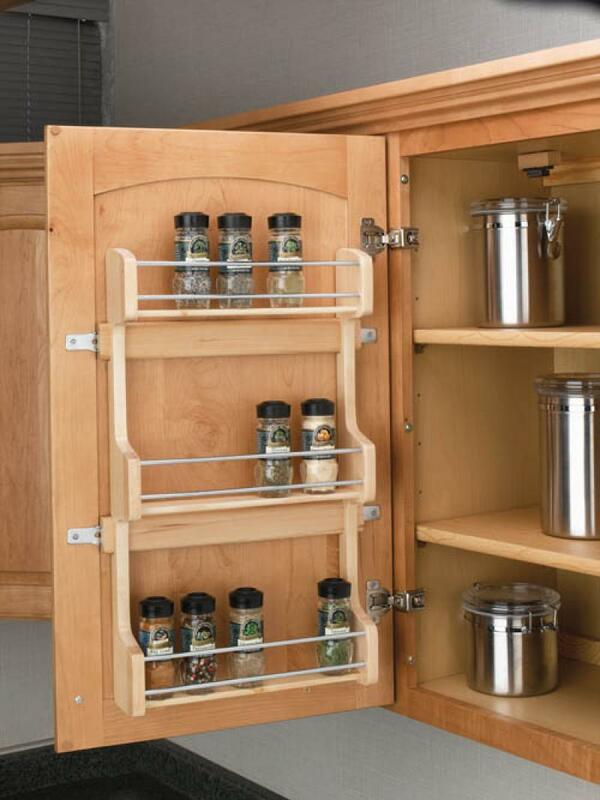 12 5/8"W x 3 1/8"D x 21 1/2"H. Kit Includes 1 Door Mount Spice Rack and screws. Height between shelves is 8 5/8". Brackets allow up to 5" of adjustability. Product Dimensions: 11"W x 18 1/2"D x 5 5/8"H. Kit includes:. 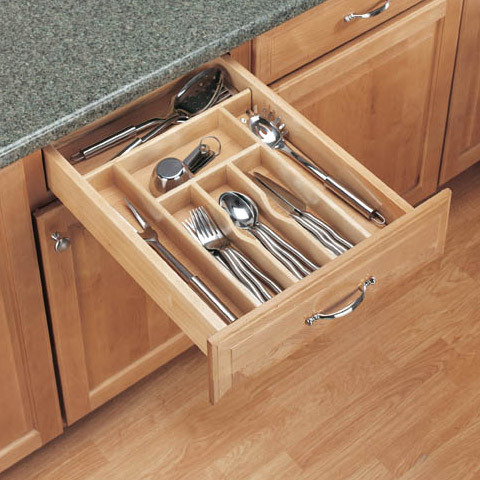 - 1 completely assembled wood pull-out drawer. - Mounting Hardware. - 50 lbs. weight rating. - 3/4 extension euro slides. 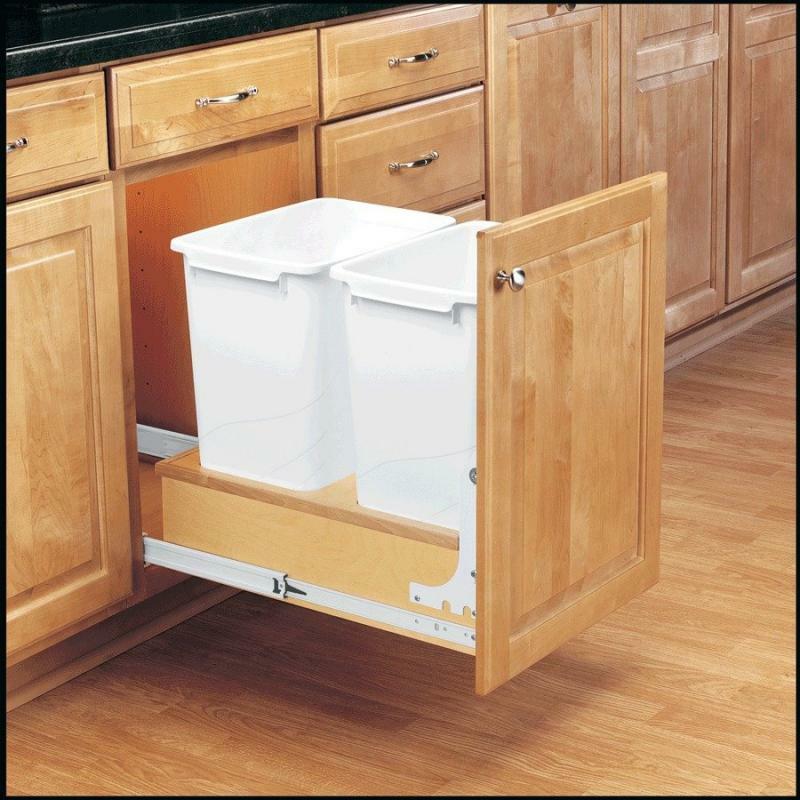 Product Dimensions:.14 7/8"W x 22 1/4"D x 19 1/4"H. Kit Contains 2 35 Qt containers, full-extension slides, and built-in RV Door Mount Brackets. Fully Assembled, 100 lb. weight rating. Product Dimensions:. 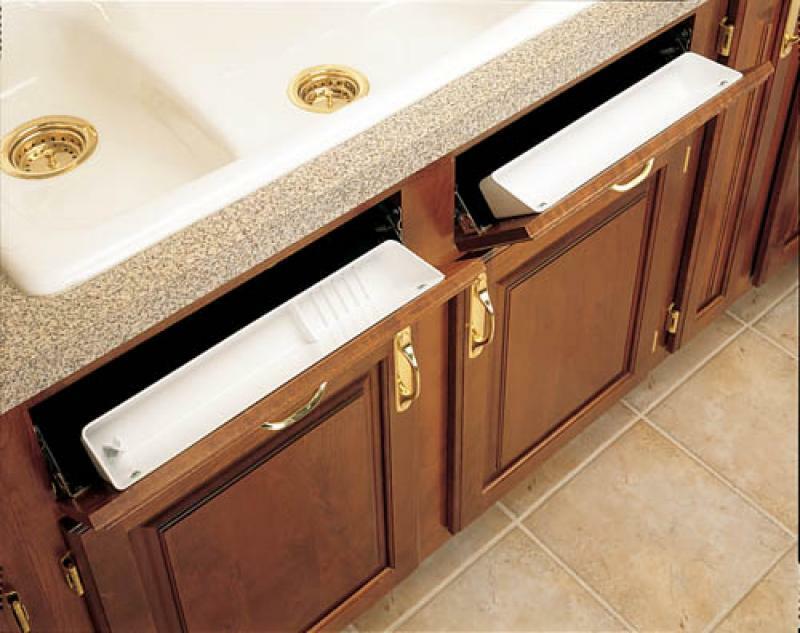 14 5/8"W x 22"L x 2 7/8"D. Min Trim:.8 1/4"W x 15 1/2"L. Tray can accommodate any of ou. r.15". ,.18" or 21" . 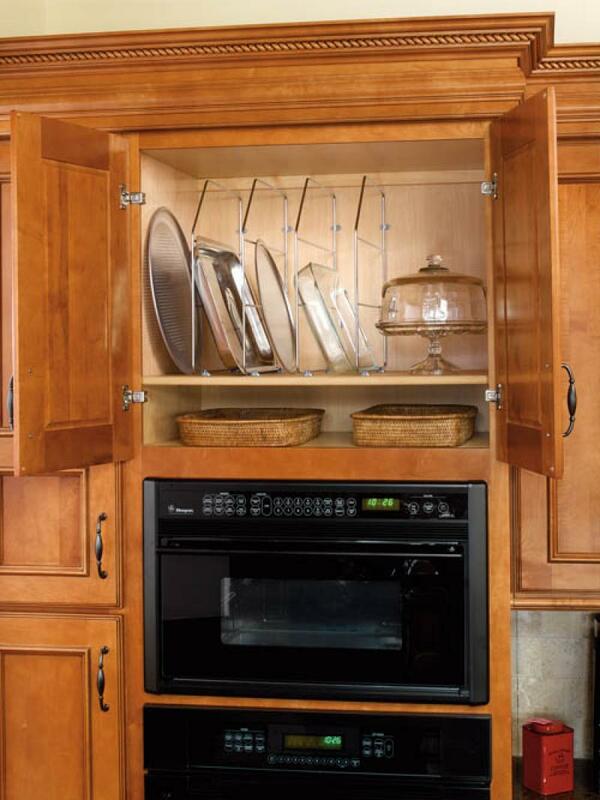 RTA Base Cabinets. Tray inserts right into drawer box. Product Dimensions:. 20 5/8"W x 22"L x 2 7/8"D. Min Trim:. 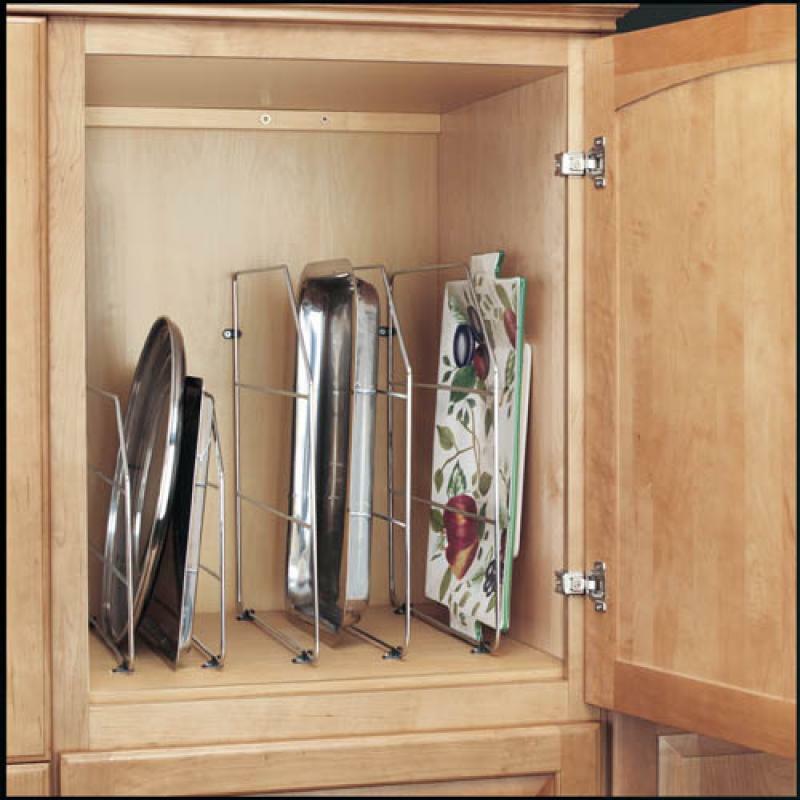 14 1/4"W x 15 1/2"L. Tray can accommodate any of our 15", 18", or 21" RTA Base Cabinets. Tray inserts right into drawer box. Product Dimensions:.18 1/2"W x 22"D. The wood knife block is trimmable to fit our 9", 12", 15", and 18" RTA Base Cabinets. Product Dimensions:. 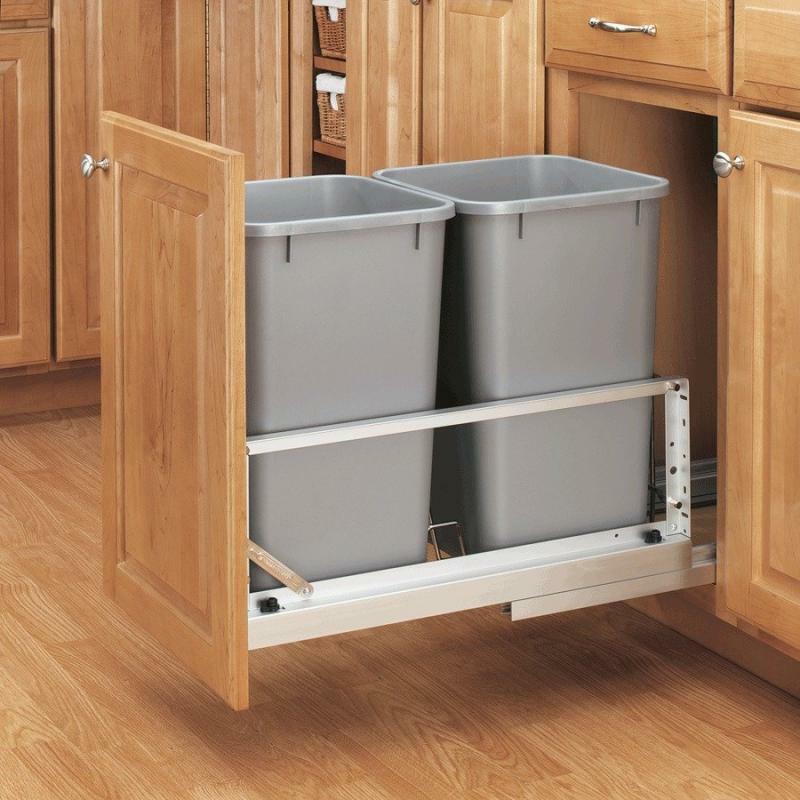 18 1/2"W x 22"L x 2 7/8"D. Tray can accommodate any of our 12", 15", 18" or 21" RTA Base Cabinets. Tray inserts right into drawer box. Product Dimensions:. 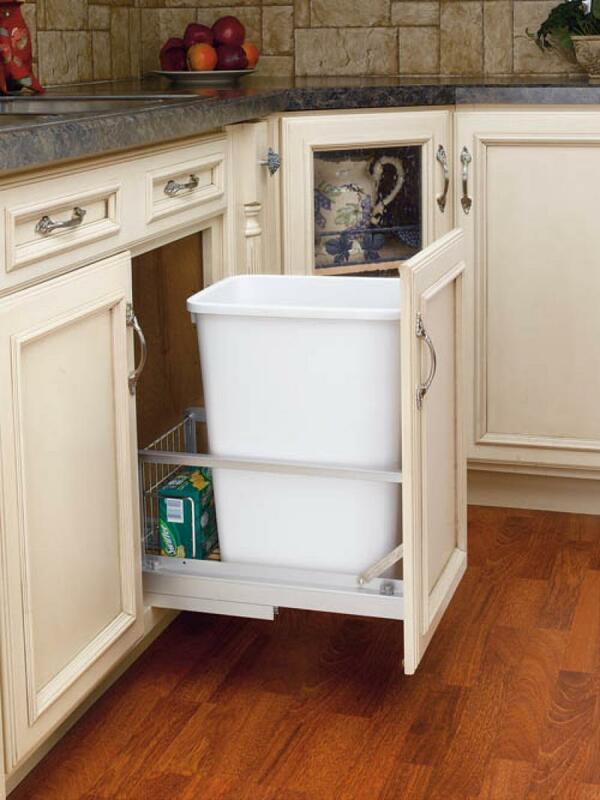 24"W x 22"L x 2 7/8"D. Tray can accommodate any of our RTA Base Cabinets up to 24". Tray inserts right into drawer box. Product Dimensions:.11 5/8"W x 22 3/4"D x 19 1/8"H. Kit contains 2 27 Qt. Metallic Silver Containers. heavy-duty brushed aluminum soft-closing slides. Fully Adjustable (10" high) door mount frame. Slides are weight-rated to 150 lbs. Heavy-duty brushed aluminum soft-closing slides provide exceptional support and stability eliminating that side-to-side movement and a fully adjustable (10" High) door mount frame. Slides are weight-rated to 150 lbs. Product Dimensions:.10 3/4"W x 22"D x 19 1/2"H. Kit contains 1 35 Qt. 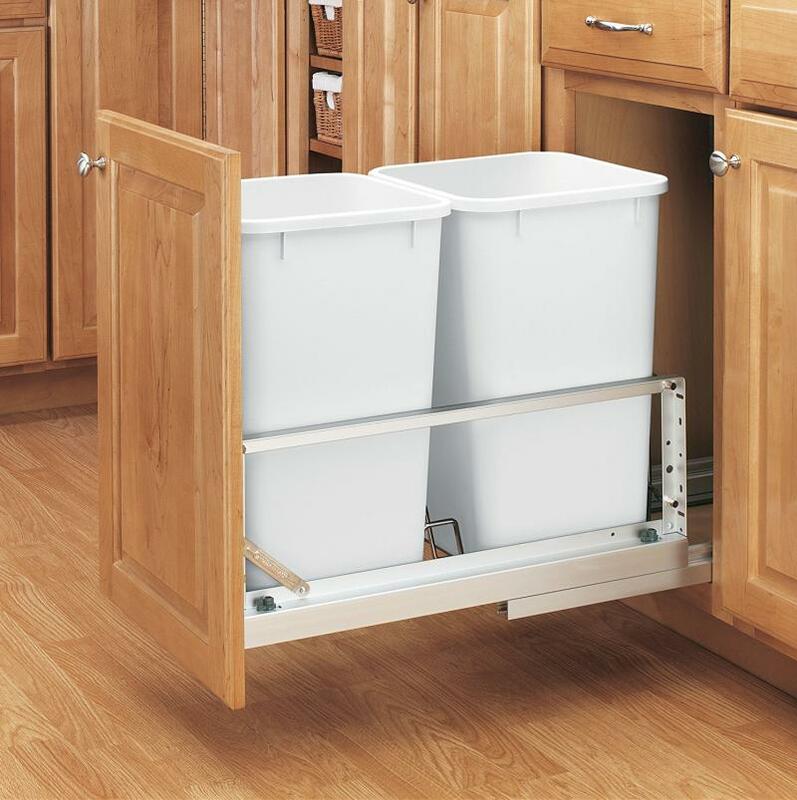 Container, full-extension self-closing slides, 10" fully adjustable door mount frame. Slides are weight-rated to 150 lbs. Product Dimensions:.10 3/4"W x 18"D x 19 1/2"H. Kit contains 1 35 Qt. Container. heavy-duty brushed aluminum soft-closing slides. 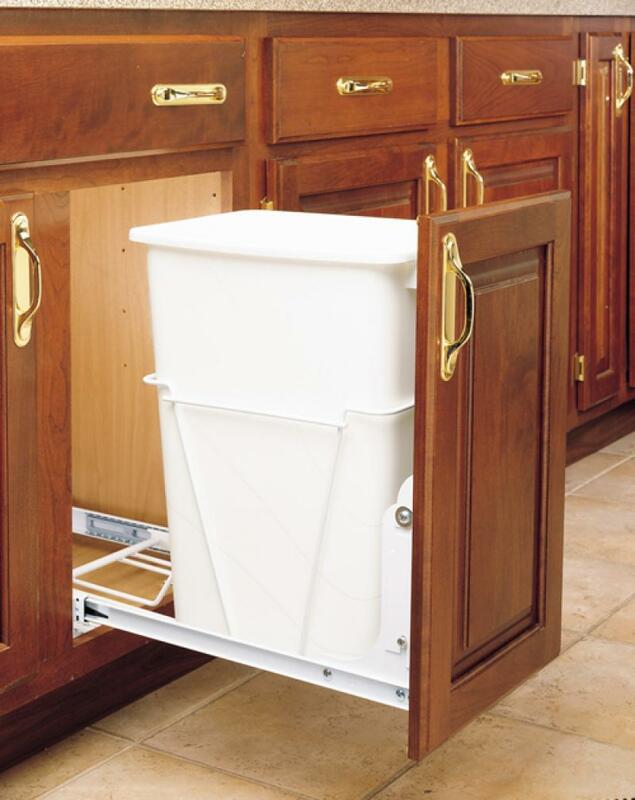 Fully Adjustable (10" high) door mount frame with built-in storage area for bags. Slides are weight-rated to 150 lbs. 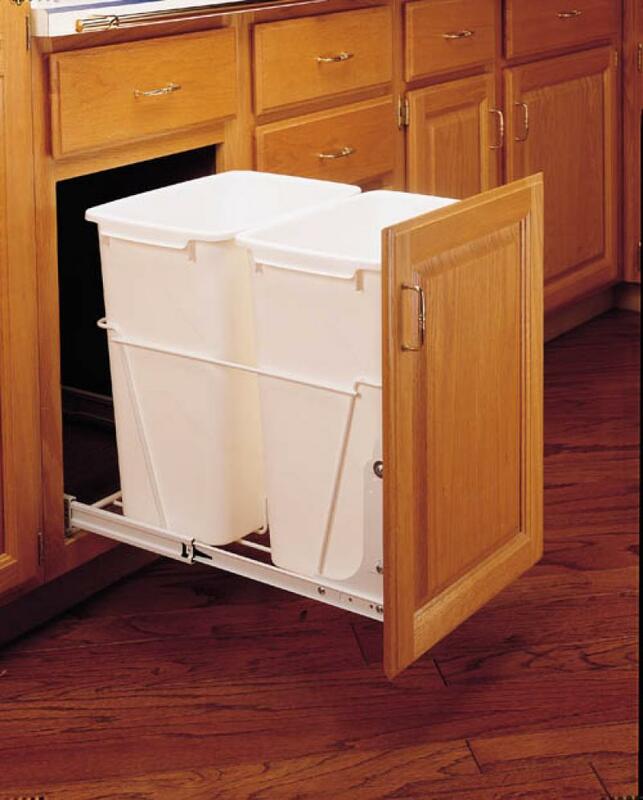 Product Dimensions:.14 5/8"W x 22"D x 19 1/2"H. Kit contains 2 35 Qt. White Containers. heavy-duty brushed aluminum soft-closing slides. Slides are weight-rated to 150 lbs. 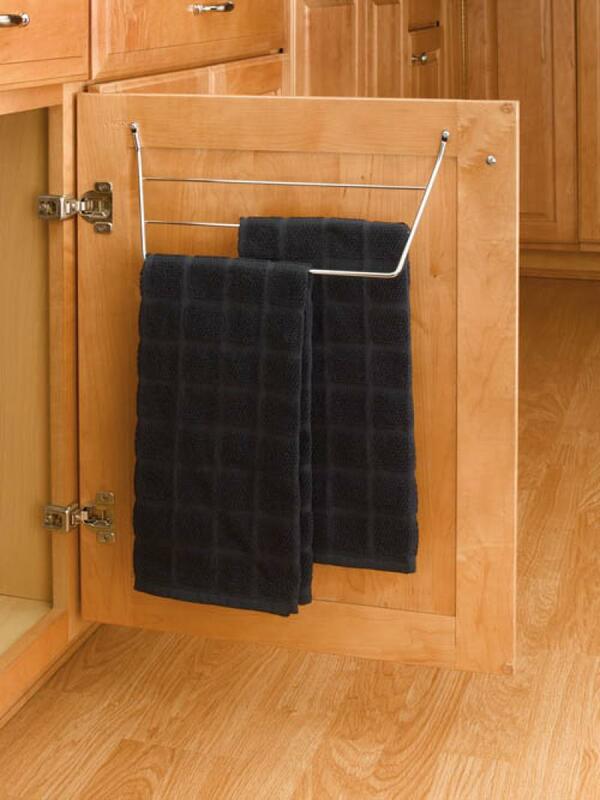 Product Dimensions: 12 3/4"W x 3 1/2"D x 6 1/2"H. Includes Towel Holder with mounting screws. 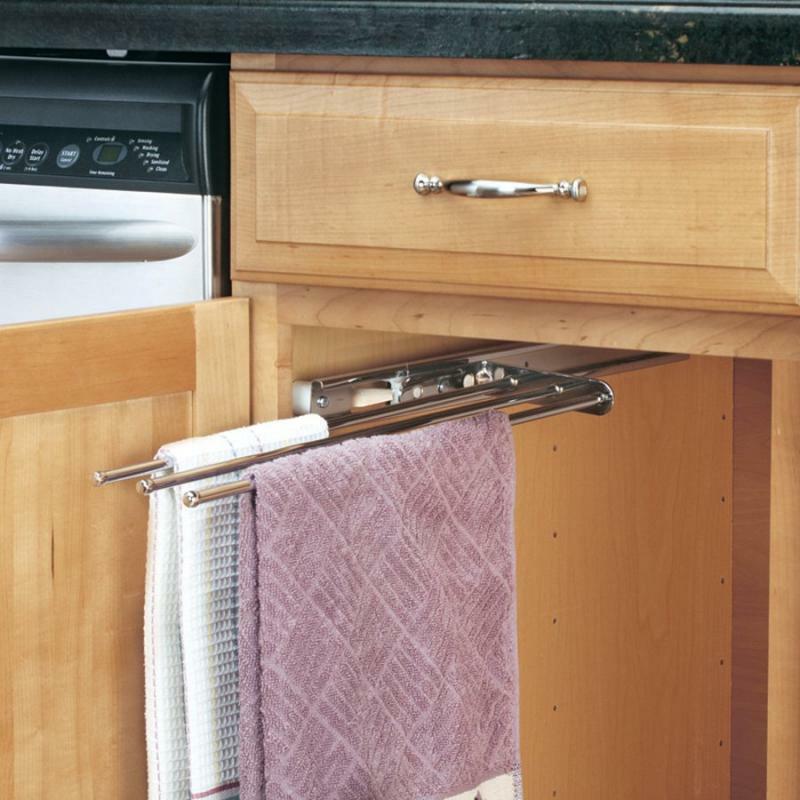 Product Dimensions: 5"W x 17 3/4"D x 1 1/4"H. Includes one 3 prong towel bar with 12" extension, face frame spacers, and mounting screws. 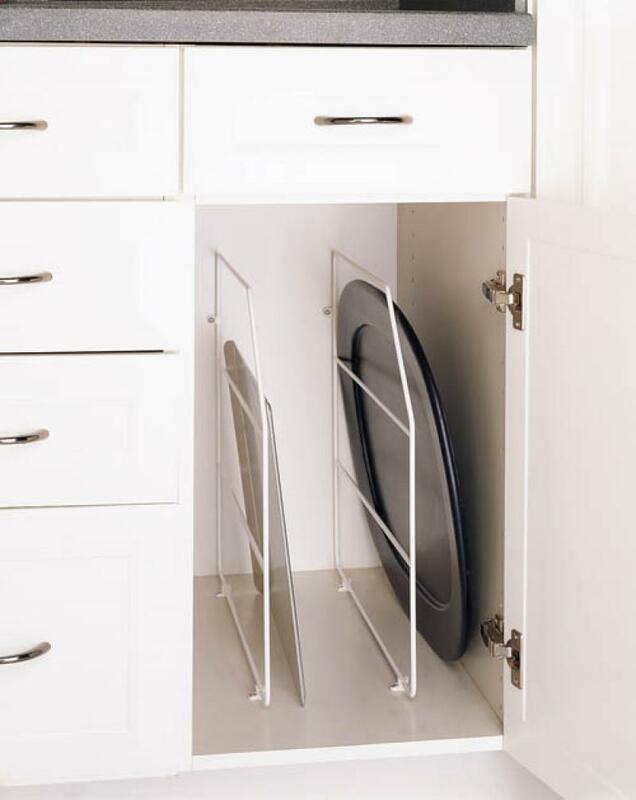 Spacers are used for cabinets with a face frame. Product Dimensions:. 10 5/8"W x 2 3/8"- 4 1/8"D x 21 3/8"H. Kit coontains 1 wire rack, 4 door mount clips, and 4 screws. Product Dimensions:. 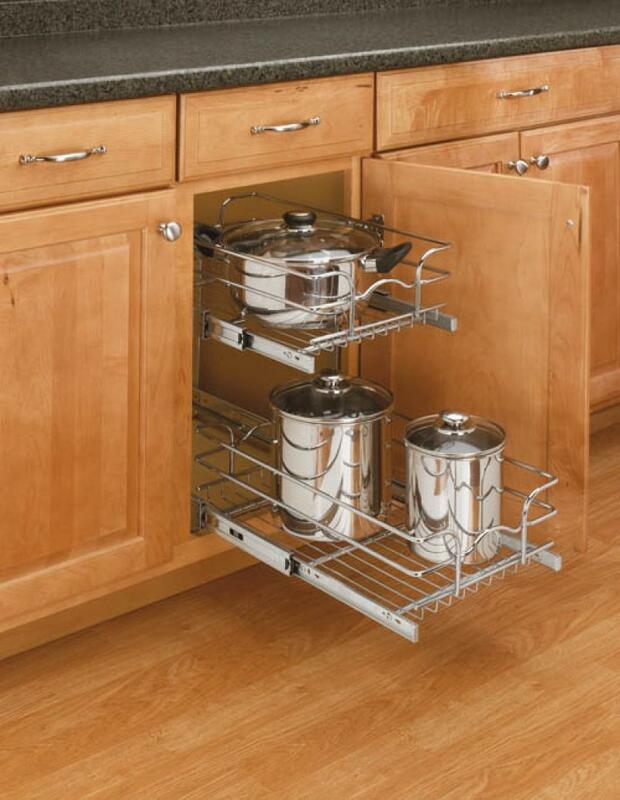 7 7/8"W x 2 3/8"- 4 1/8"D x 21 3/8"H. Kit coontains 1 wire rack, 4 door mount clips, and 4 screws. 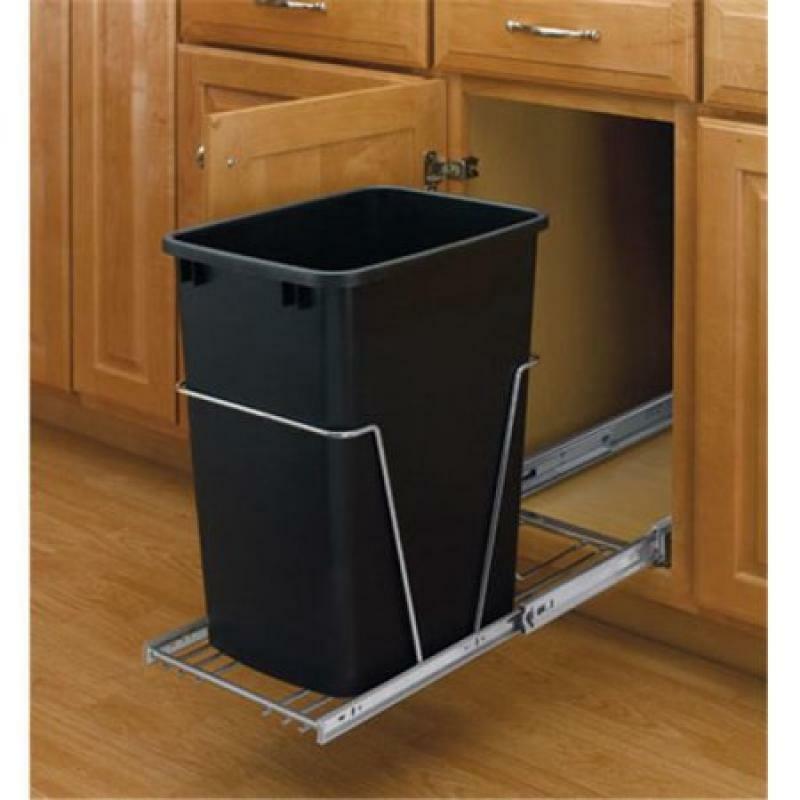 Product Dimensions: 3/4"W x 20"D x 18"H. 1 tray divider with 4 screw-in clips and fasteners. 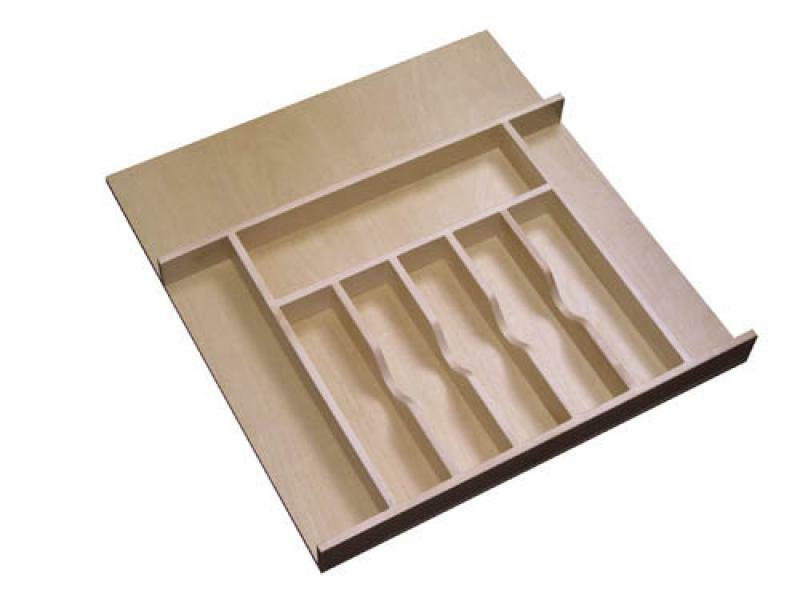 Product Dimensions: 3/4"W x 20"D x 18"H. 10 pack of tray dividers with 4 screw-in clips and fasteners for each divider. Product Dimensions: 14 3/4"W x 22"D x 19"H. Kit Contains:. - 2 Wire Baskets. - 2 Pair of Full Extension Slides (100 lbs weight rating). - 2 U-Brackets. - 1 Adjustable Rear Mounting Bracket. Easy assembly that installs with 7 screws. Minimum Opening: 14 1/2". 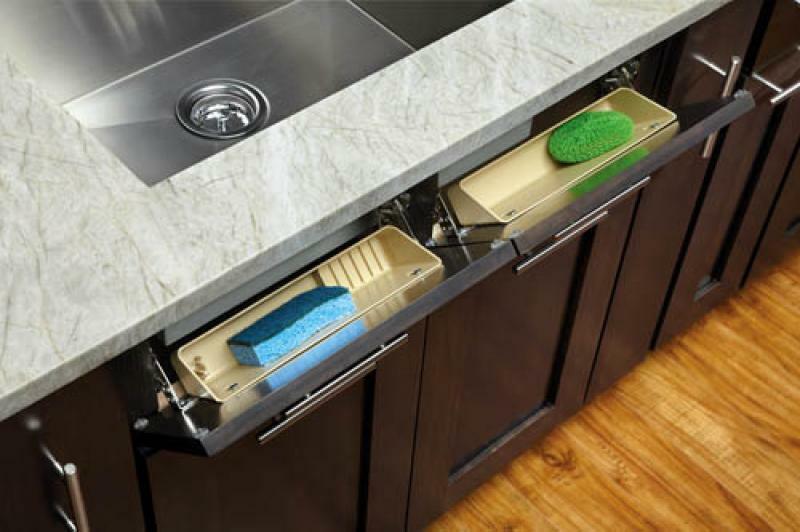 Features one conventional open tray and one accessory tray with ring holder and soap dish. Made of high-impact polystyrene. 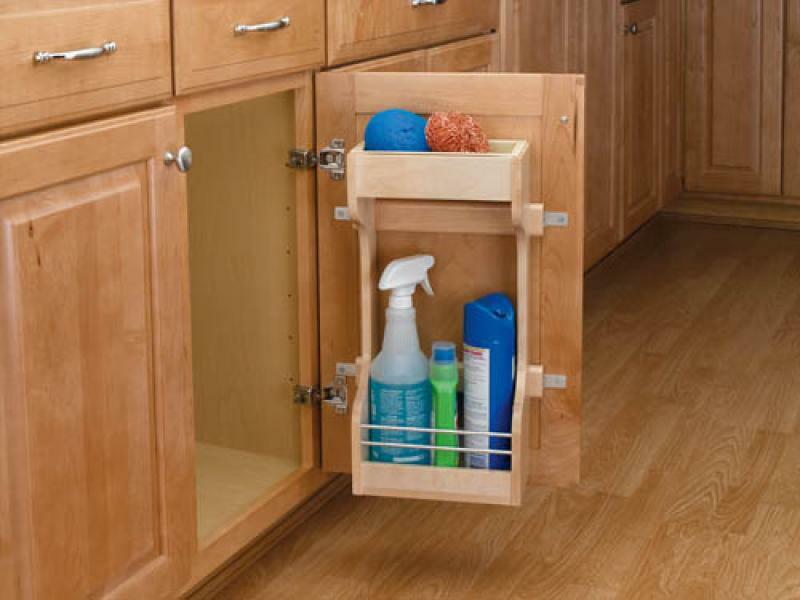 Includes 2 pairs of Self-Holding hinges. 2-1/8" D x 3-13/16" H.
Product Dimensions:. 10 5/8"W x 22"D x 19 1/4"H. Kit contains 1 35 Qt. container, frame, and full extension chrome slides. 100 lb weight rating. Product Dimensions:. 10 5/8"W x 22"D x 19" H. Kit includes 20 Qt. container, and full extension slides. 100 lb. weight rating. 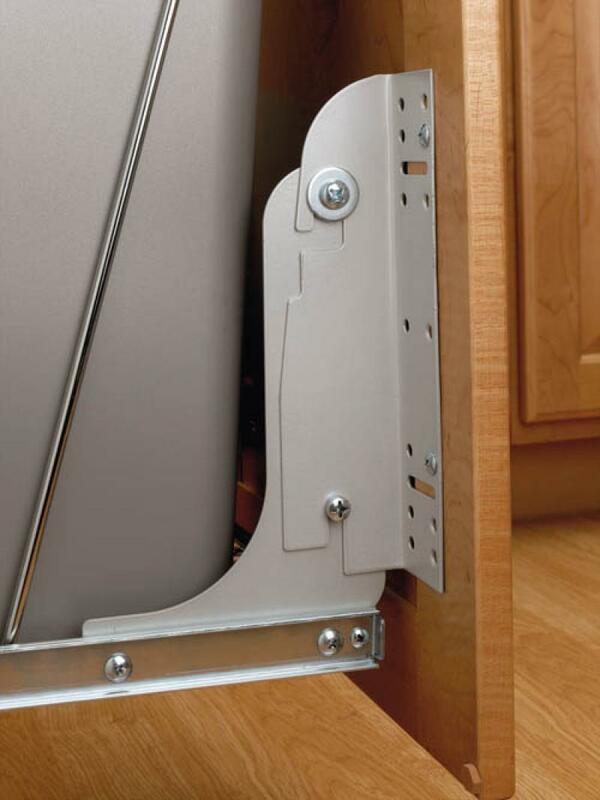 ***To mount slides directly to the cabinet door, mounting kit must be purchased***. Product Dimensions:.11 13/16"W x 22 1/4"D x 19 1/4"H. Kit Contains 2 27 Qt. Black Containers, frame, and full extension slides. 100 lb. weight rating. Frame and slides can be attached directly to the door by purchasing the Door Mounting Kit. Lids are available for the containers as well. Product Dimensions:.11 13/16"W x 22 1/4"D x 19 1/8"H. Kit Contains 2 27 Qt. Containers, frame, full-extension slides. 100 lb. Weight Rating. To mount slides directly to the cabinet door, a mounting kit must be purchased. 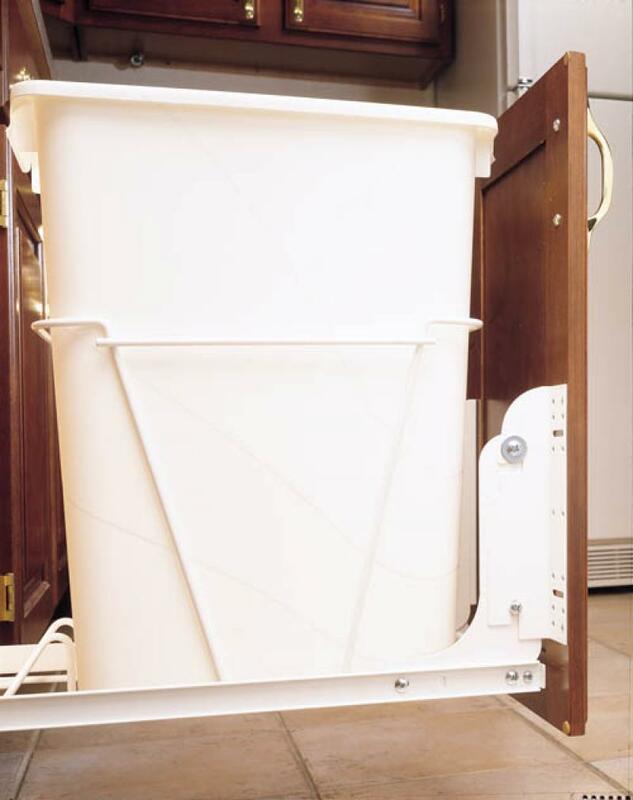 Product Dimensions:.14 3/8"W x 22"D x 19 1/4"H. Kit contains 2 35 Qt. Silver Containers, frame, and full extension chrome slides. 100 lb. weight rating. 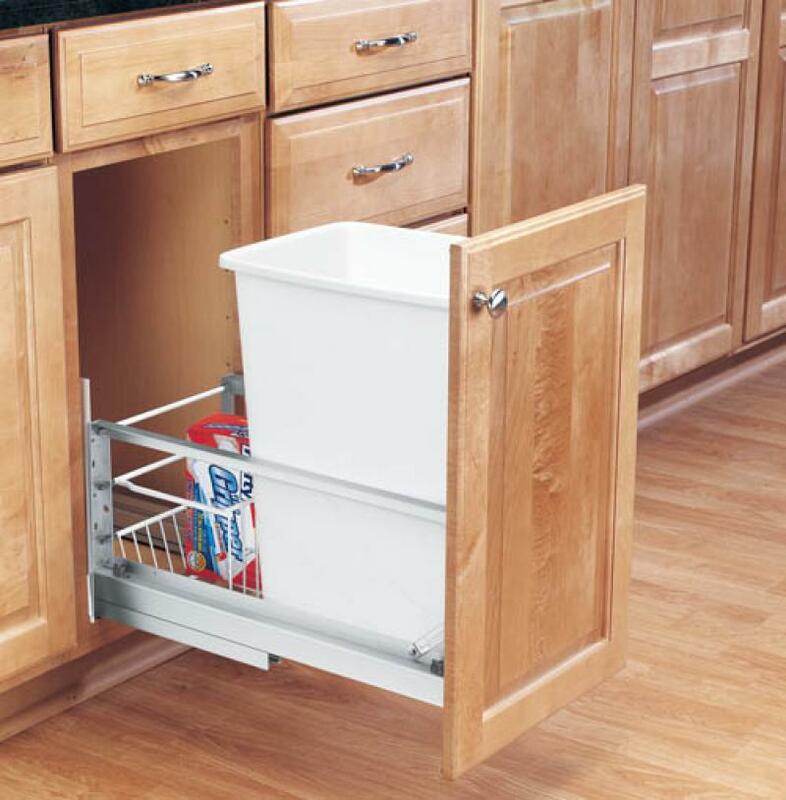 slides and frame can be mounted directly to the cabinet door by purchasing the Door Mounting Kit. lids now available (purchased separately). Product Dimensions:.14 3/8"W x 22"D x 19 1/4"H. Kit Contains 2 35 Qt. Containers, frame, full-extension slides. 100 lb. Weight Rating. To mount slides directly to the cabinet door, a mounting kit must be purchased. Product Dimensions:. 8 7/8"W x 15 5/8"D x 15 7/8" H. Kit includes 20 Qt. container, and 3/4 extension euro slides. 75 lb. weight rating. To mount slides directly to the cabinet door, mounting kit must be purchased. 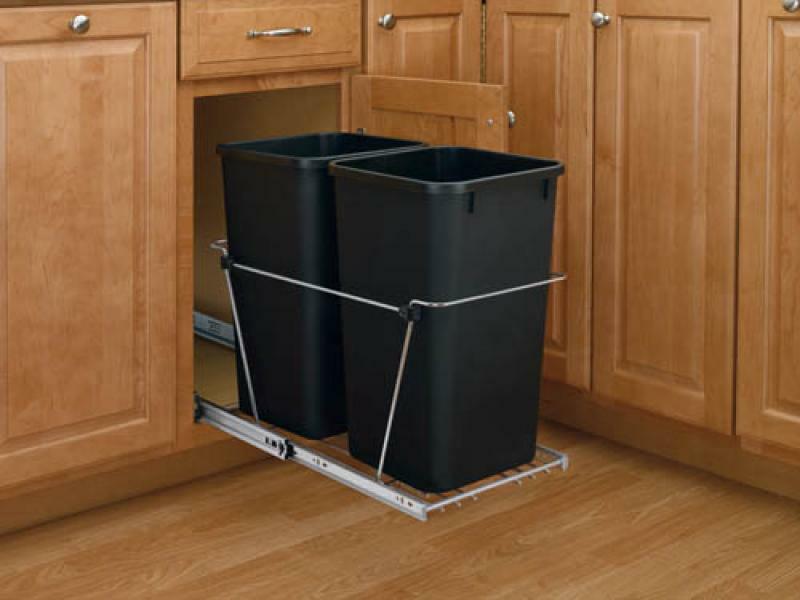 Heavy Duty Door Mounting Kit for Pull-Out Waste Containers. 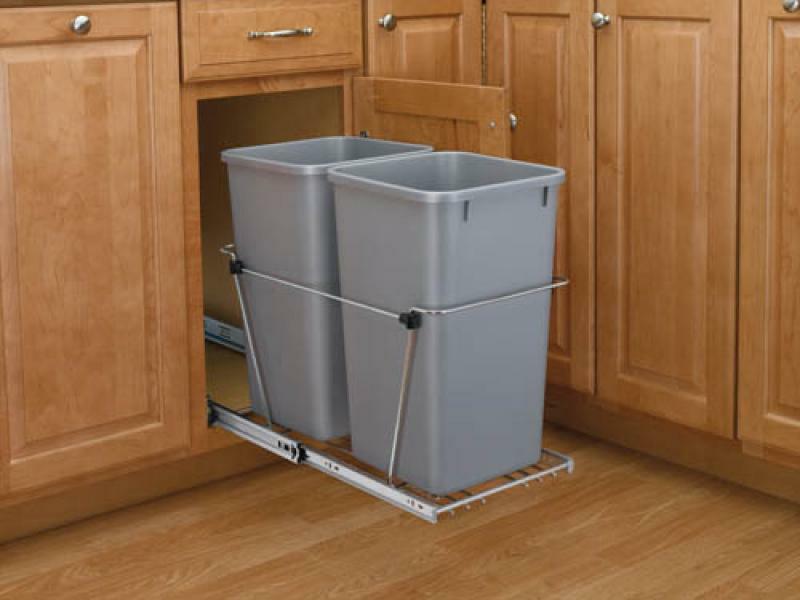 All of the waste containers can be attached to the cabinet door for an easy one-step process with the Heavy-Duty Door Mount Kit. This system is considered the best in the industry with a six-way adjustable door-mounting bracket for easy installation and simple job site adjustments. The Door Mounting Kit includes a complete set of brackets, fasteners and spacers for installation on any of our RTA base cabinet doors, eliminating the need for a sub door panel. Product Dimensions:.12"W x 22 5/8"D x 17 3/4"H. Kit contains 2 27 Qt. Containers, full-extension slides, built-in door mount brackets. Slides are weight-rated to 150 lbs. Product Dimensions:.15"W x 22 1/8"D x 17 7/8"H. Kit contains 2 35 Qt. 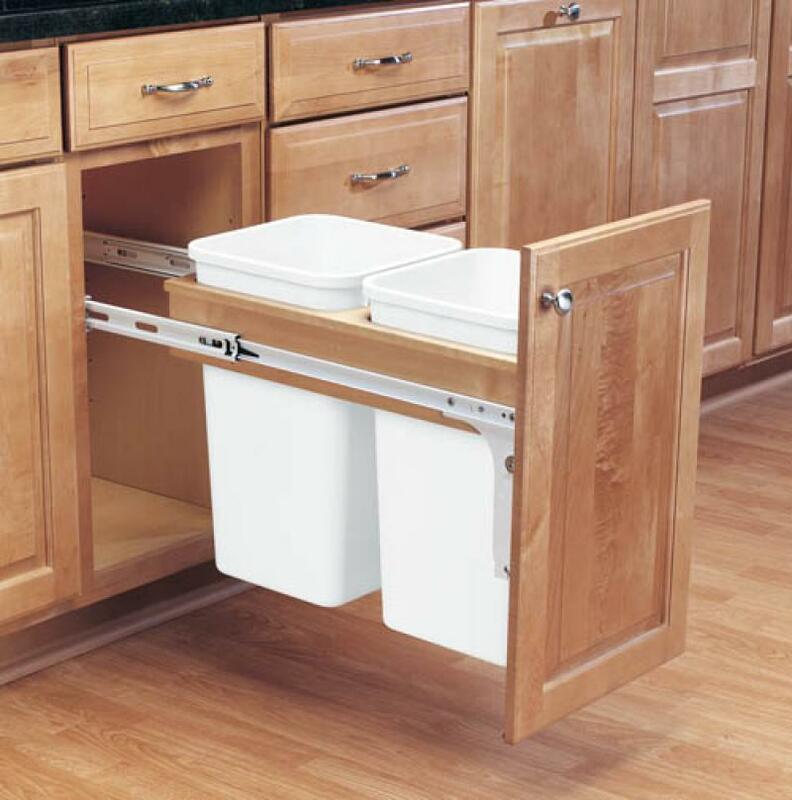 Containers, full-extension slides, built-in door mount brackets. Slides are weight-rated to 150 lbs.